We sell a variety of clothing and accesories to kit out the rider and non rider. For those wanting to get good quality riding helmets, check out our partner company Easyboot SA for their range of Troxel helmets. 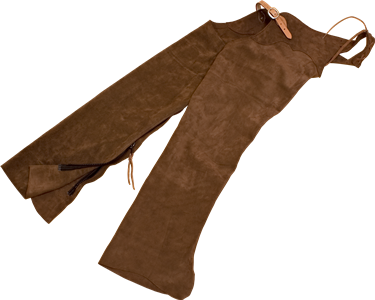 Our chaps are made from suede or top grain leather and are available in S, M, L and XL. 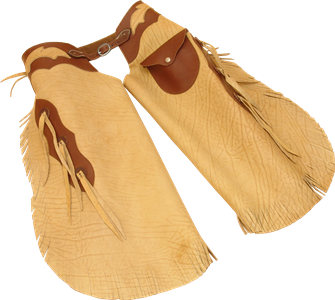 All chaps are made to fit your exact measurements. 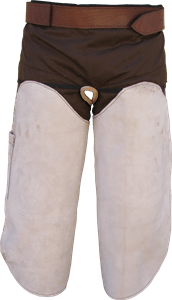 Download the chaps form to fill in your measurements. 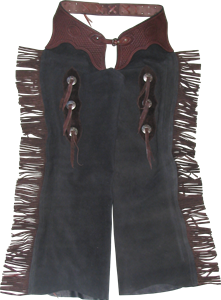 Make your chaps look smart by adding extra details such as tassels, conchos and a fringe; or even a veg top with tooling on it. We do not sell the spurs. 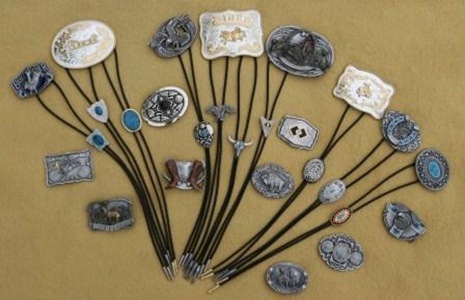 A selection of Buckles and Bolo Ties are available. Please contact us to find out what we have in stock. 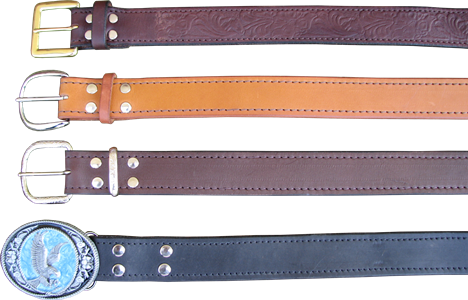 Our leather belts can be plain or embossed as featured. 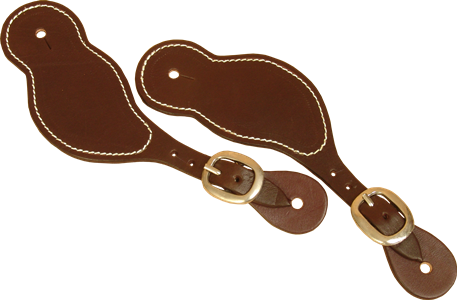 All our belts are made so that buckles can be easily swopped out. No need for multiple belts, just change the buckle. 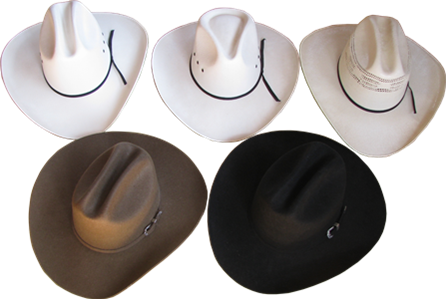 A selection of western, straw and felt hats is available in different sizes. The Cattleman, White Mountain and Bangora western straw hats are made with palmleaf impregnated with resin to allow them to keep their shape.